Should you buy a noise canceling machine as well as an air purifier? For the last two decades, China has been one of the fastest developing countries in the world. The landscape in China often changes so quickly, if you leave a city for more than a month, you may not recognize it upon your return! There are many advantages to all of this development: more jobs, improved living conditions, higher wages, better public services and infrastructure, etc. However, one major downfall is the noise. 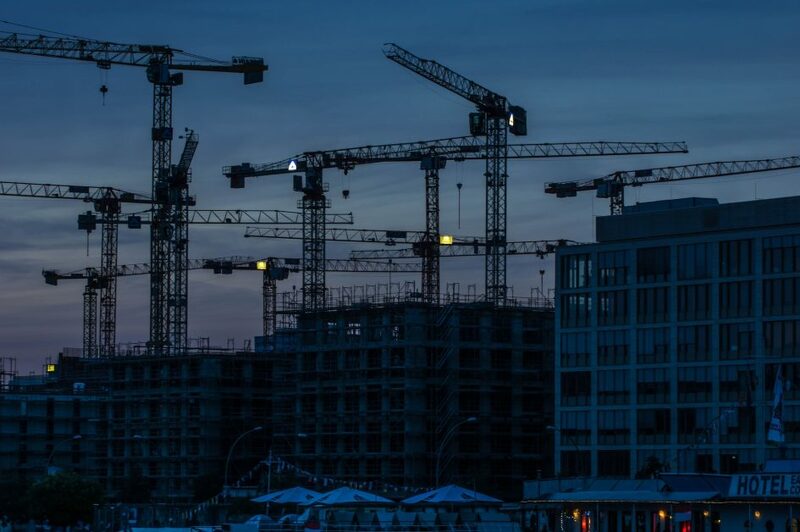 Many expats who have lived in China for a while, can remember seeing a sea of building cranes as far as the eye could see in China’s largest cities. Nowadays, you may only see more than one or two in China’s third or fourth-tier cities that are trying to catch up with China’s mega-cities. However, it’s not just new buildings being built and roadway or railway racket that is contributing to all of that city noise. Apartments are constantly being refurbished or decorated for the first time and it seems no matter how many times you move in China, the person right next door or right above you, starts using a jackhammer for the next six months. Of course, some noise is to be expected while you’re building a building or refurbishing an apartment, but is there such a thing as too much noise? Does it go beyond just a mild annoyance? The answer is yes. Noise pollution is an actual thing and it can have a harmful effect on both humans and animals. In humans, environmental noise can cause cardiac or hearing problems, especially in the elderly and small children. Noise can negatively affect how a child learns and develops. If you’re exposed to noise for more than eight hours at a time in a day, your blood pressure and stress will increase. Animals are also negatively affected so if you’re planning to keep a male and female zebra finch couple as pets in your city apartment, you’d better not. According to Wikipedia, zebra finches become less faithful to their partners when exposed to city noise. What can be done? Can the marriages of urban-living zebra finches be saved? Unless you’re able to influence Chinese laws and enforce national standards for environmental noise, buy some earplugs. In addition to wearing earplugs 24/7, you can also choose to live in a quieter, older part of the city and away from main roads and highways. It may not be as convenient as living downtown, but the health benefits might just be worth it. You can also avoid any city with high noise pollution. The highest in China are Guangzhou, Beijing, and Shanghai – in that order. So the next time you’re on the subway in one of the above three cities listening to the guy two subway cars down from you yelling into his cellphone, be more empathetic. He may just be suffering from hearing loss.